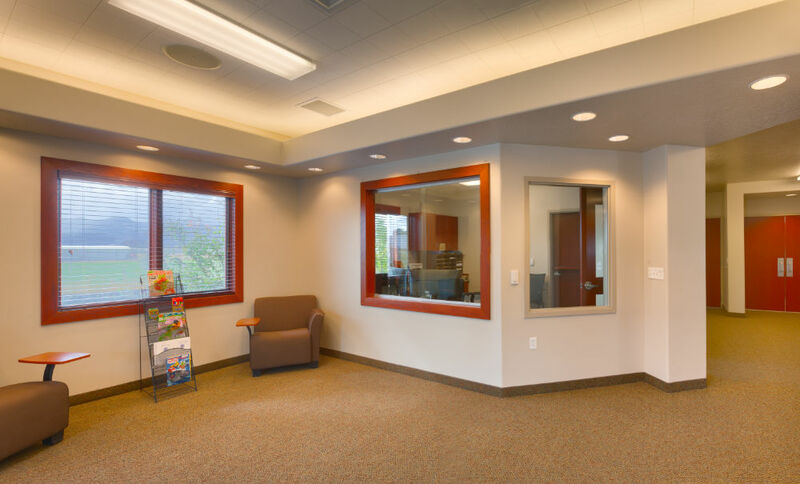 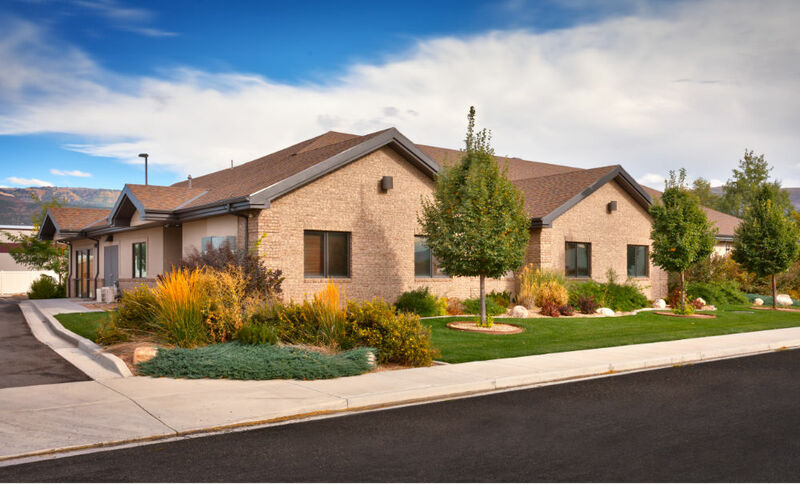 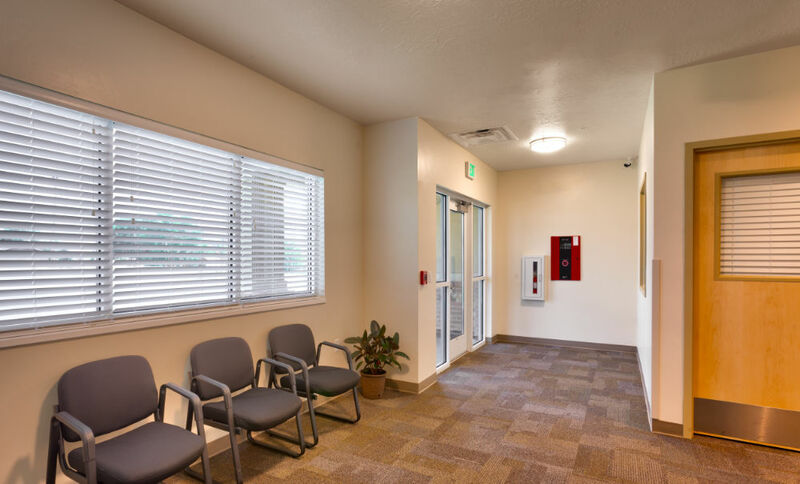 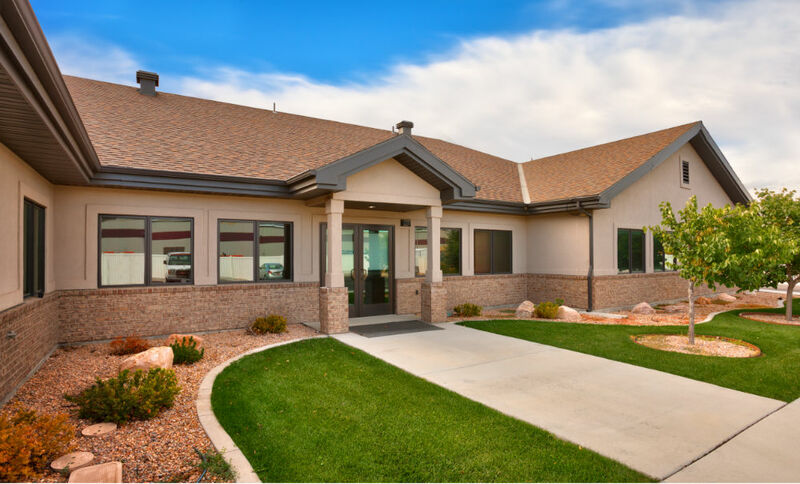 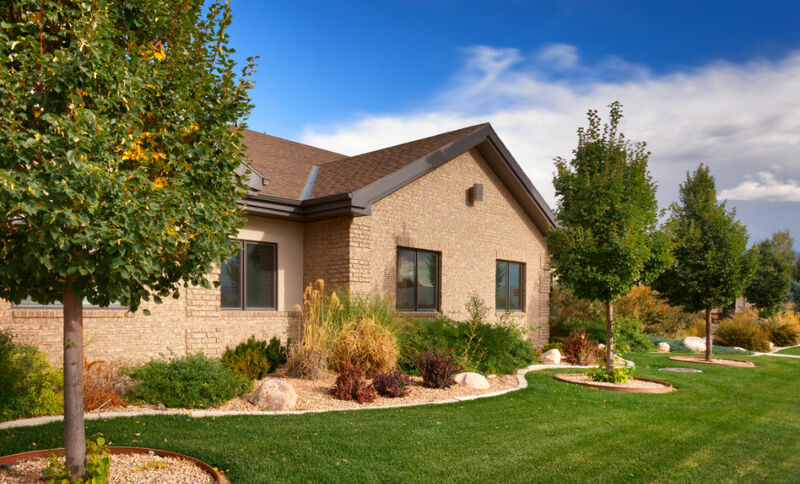 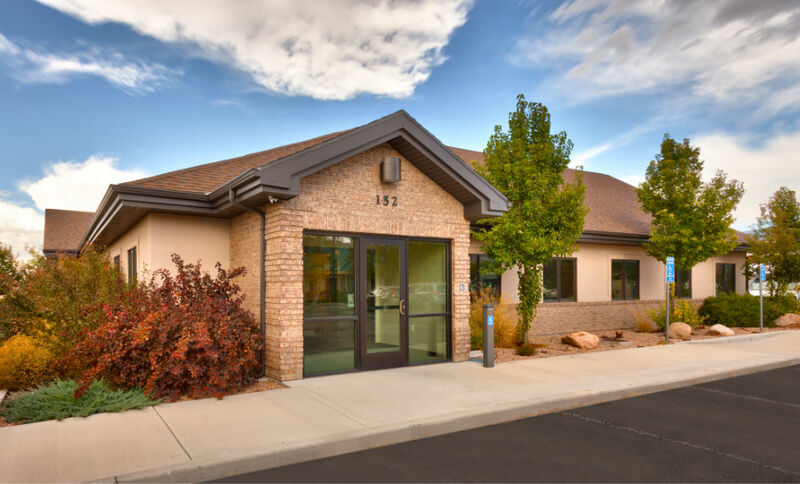 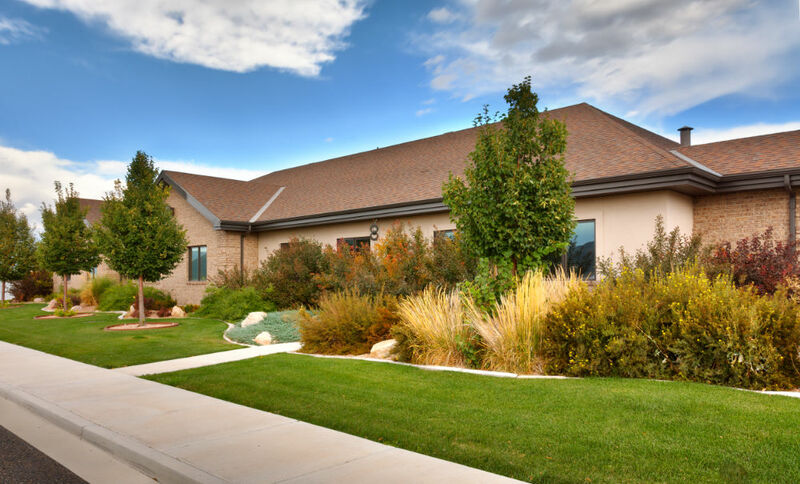 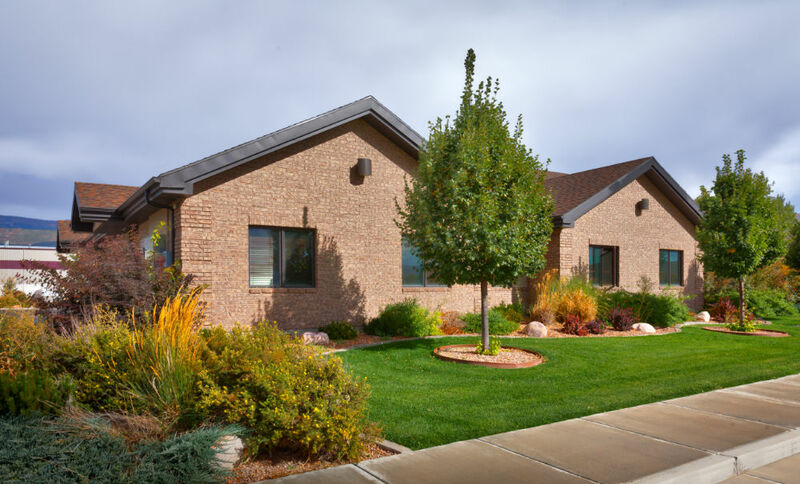 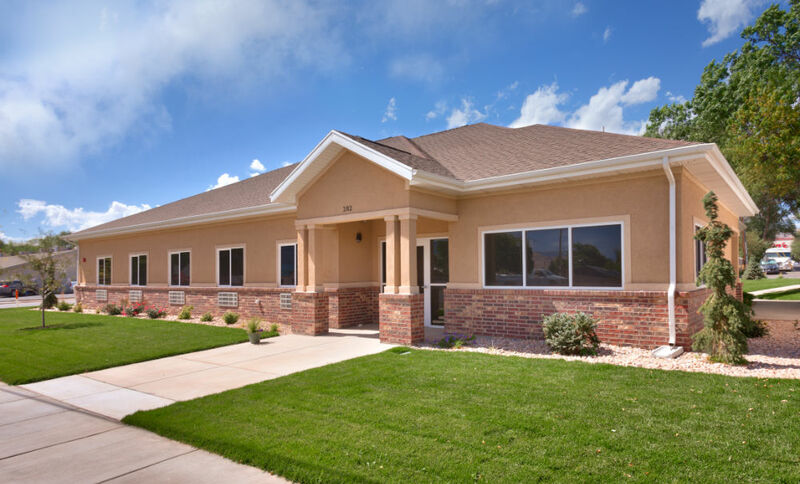 The new Central Utah Counseling Center Residential facility was designed to be an integral part of the Central Utah Counseling Center Richfield, Utah campus. 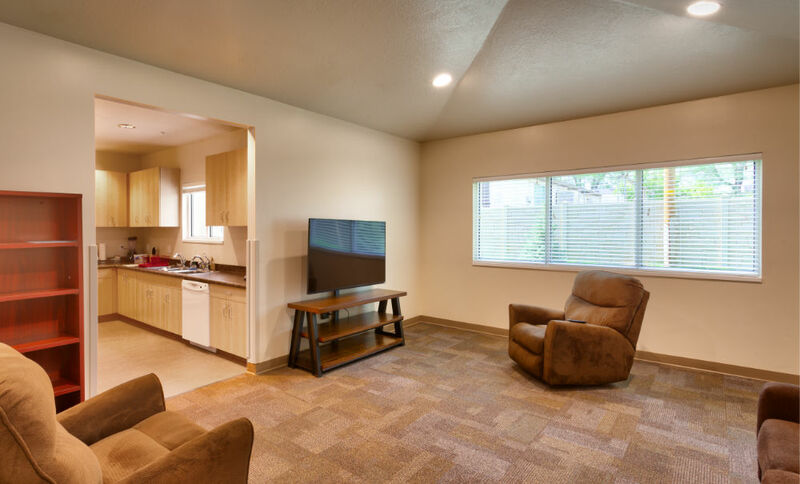 It features eight living units with common kitchen, dining, living and laundry rooms. 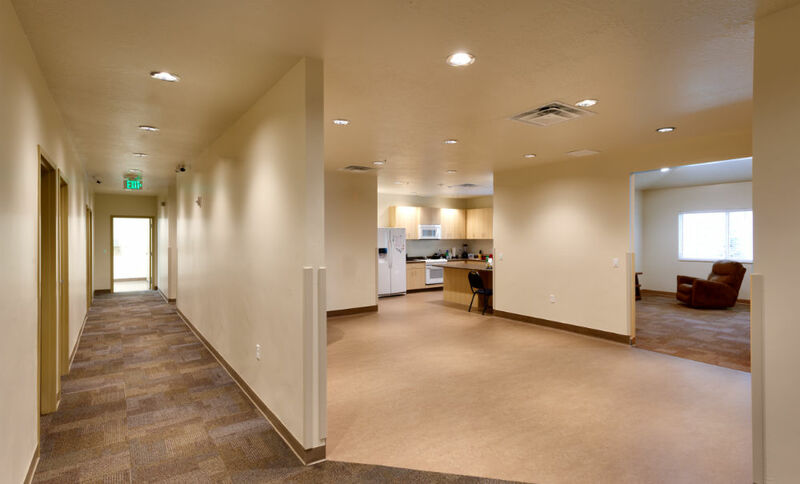 Secured access separates the group room, administrative office and support spaces from the living units. 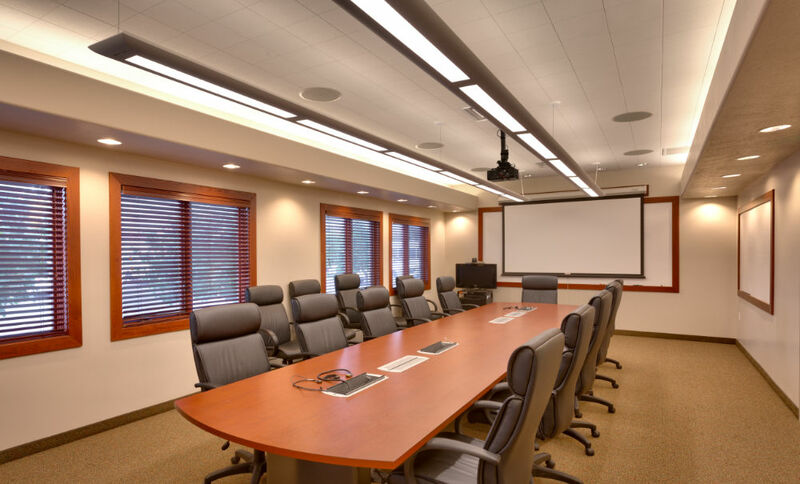 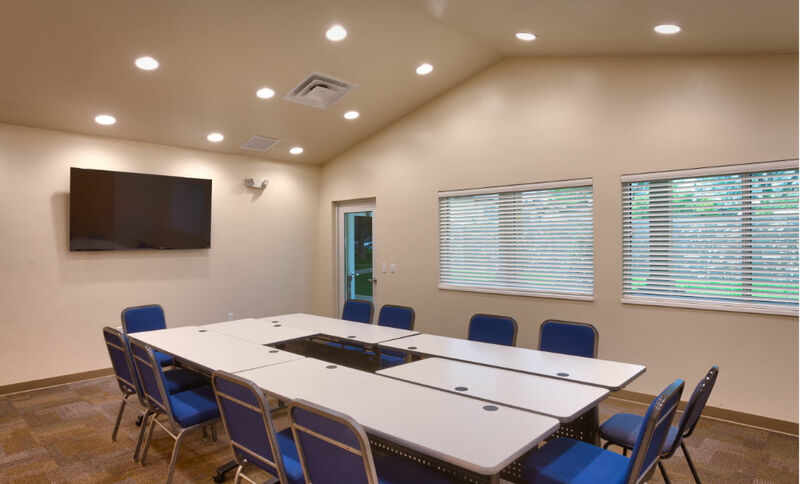 The group meeting room has direct access to a secluded outdoor patio to provide a comfortable and private outdoor meeting space. 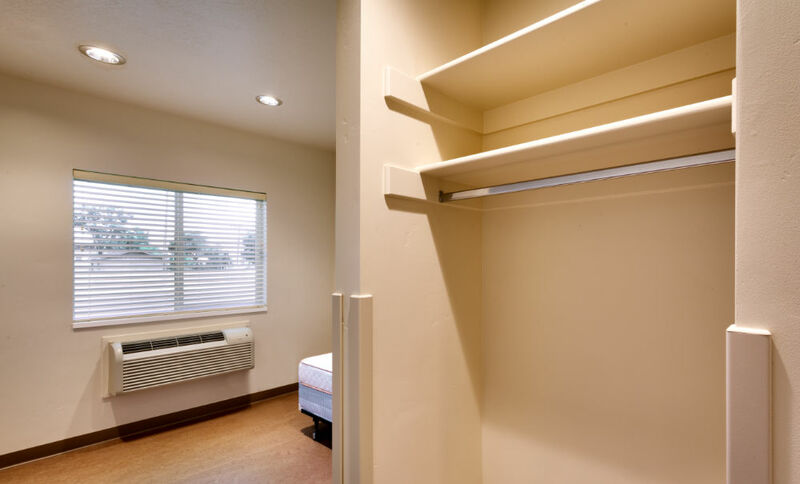 Packaged terminal air-conditioning units for each living unit provide for individual temperature control and windows with a high level of shading prevent visibility into the living units from the outside. 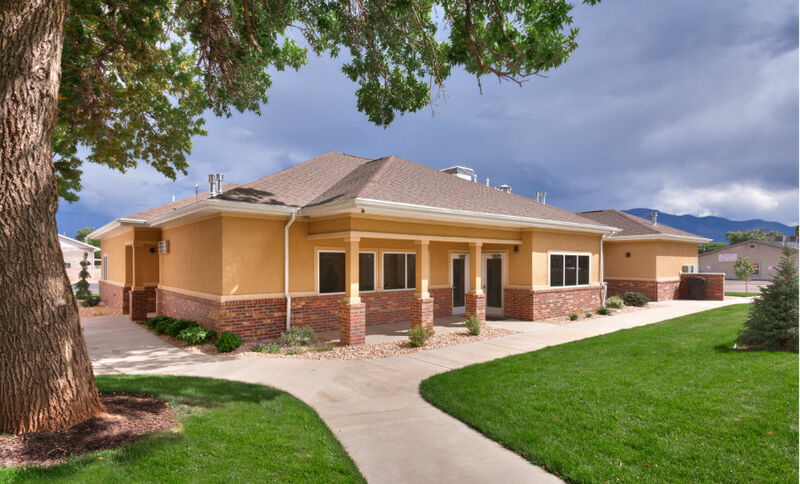 The building spaces were arranged on one level to minimize the mass of the building to allow it to fit within the context of the residential neighborhood. 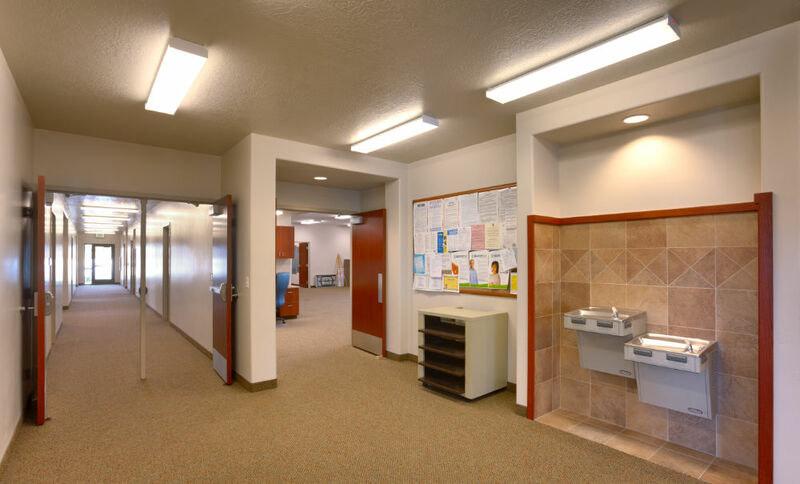 Colors and materials were selected to be clean and cost-effective while responding to the Richfield vernacular.